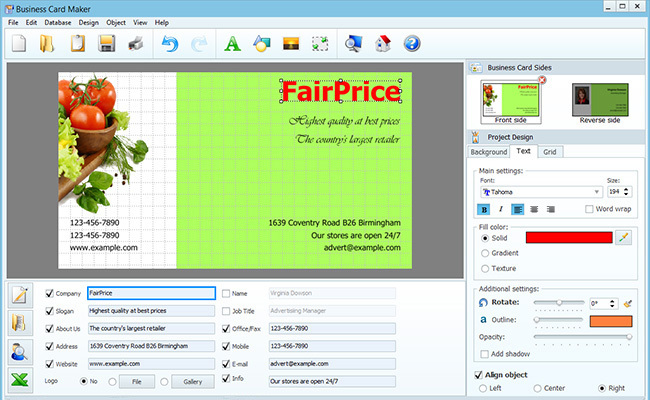 Intuitive software for business card design and printing. 550+ templates for a quick start. Create business cards, ID cards, and badges with logos and photos. Print in professional quality on any type of paper and cardstock. For home and commercial use. 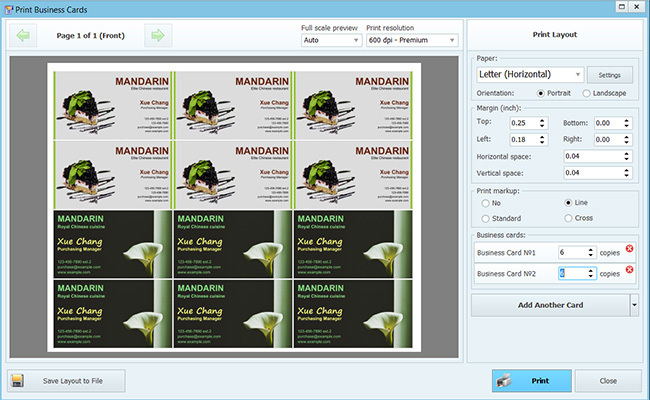 Download free trial of Business Card Maker! 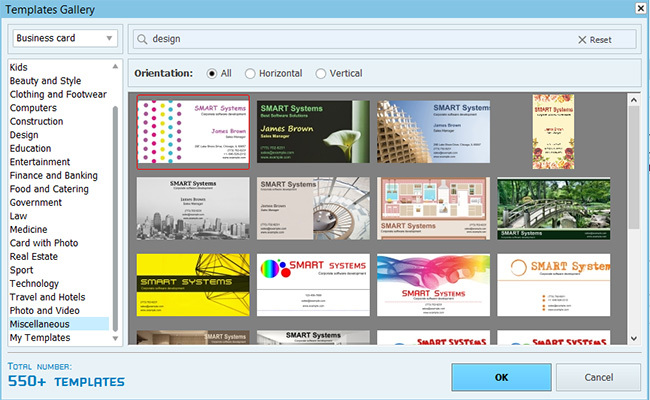 Business Card Maker is a convenient piece of software for creating stylish business cards, ID cards, and badges. With over 550 design templates for various business areas, this handy app can become a perfect assistant for small and large companies, entrepreneurs, and design studios. The app is surprisingly intuitive and fun to work with. The startup wizard guides you step by step: pick one of the standard business card sizes or set your own dimensions, then enter your contact details, and decide on the layout. You can go for a ready-made template and make your card in a flash. Alternatively, select one of the basic layouts and fill it with your own content. Business Card Maker lets you create single-sided and double-sided, wide and tall business cards. There are lots of editing tools and resources for creating one-of-a-kind designs. You can add your corporate logo and photos, as well as all sorts of lines, shapes, and icons. Working on the layout is totally easy even for a non-tech savvy user thanks to the drag & drop interface, intuitive layer management, the scalable grid, and multiple undo & redo. You can print your cards in-house or save in up to 1200 dpi and send them to a print shop. When it comes to printing, Business Card Maker supports all common types of paper and cardstock. It allows you to print single or multiple cards, and even create a print layout where cards for different clients are combined. Double-sided printing is supported as well.